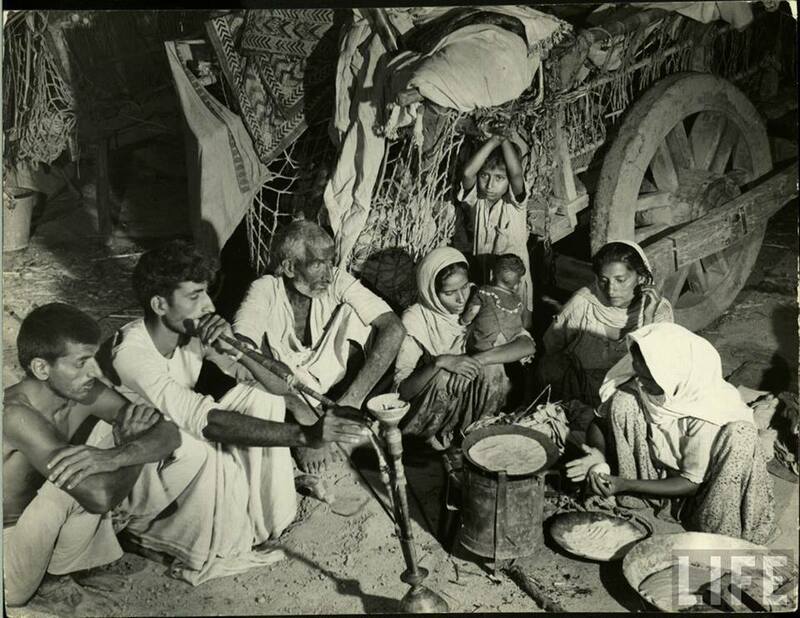 Millions of destitute Muslims reached Pakistan from different areas of India. Even to provide them food and shelter was a colossal job. The share of Pakistan in assets was never given to Pakistan, thanks to close relation between British government and Hindu leaders. 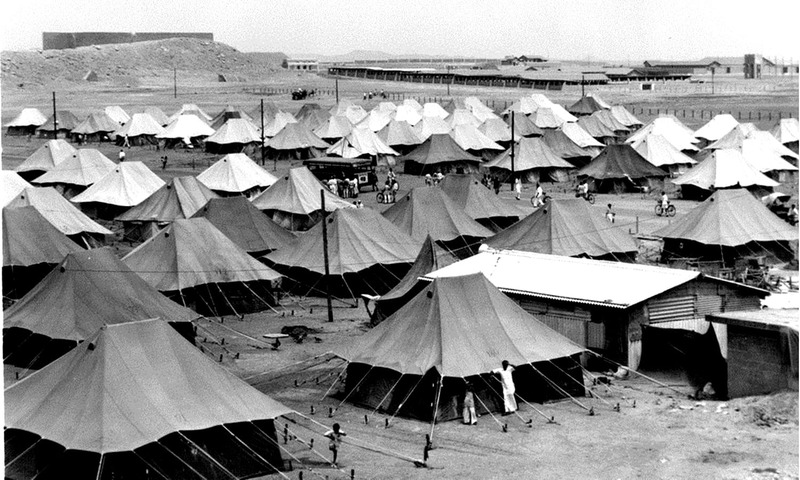 Such a handicapped Pakistan had to arrange for resettlement of millions of refugees including thousands injured who reached Pakistan from India. Pakistan didn’t have even enough currency notes thus people who were given job were given wheat flour, rice, lentils, etc plus some currency for first 3 months. In offices there was no furniture. People collected wood crates from near the sea port and used those as tables. They were given used paper sheets with one side blank which were used in correspondence and nobody felt bad, instead they had high spirit of hard work and cooperation. 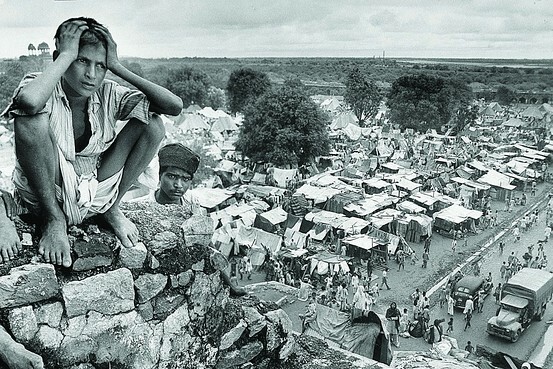 Some pictures of Refugee Camps, mainly established in Lahore. There were no female doctors and nurses. Begum Ra’ana Liaquat Ali (wife of Prime Minister) went to streets and house with appeal to young women and girls to come out of their houses and help the needy women. Thousands of them came out. Those who had some knowledge of nursing started working forthwith and the rest were given short nursing courses after which they also joined the volunteer work. 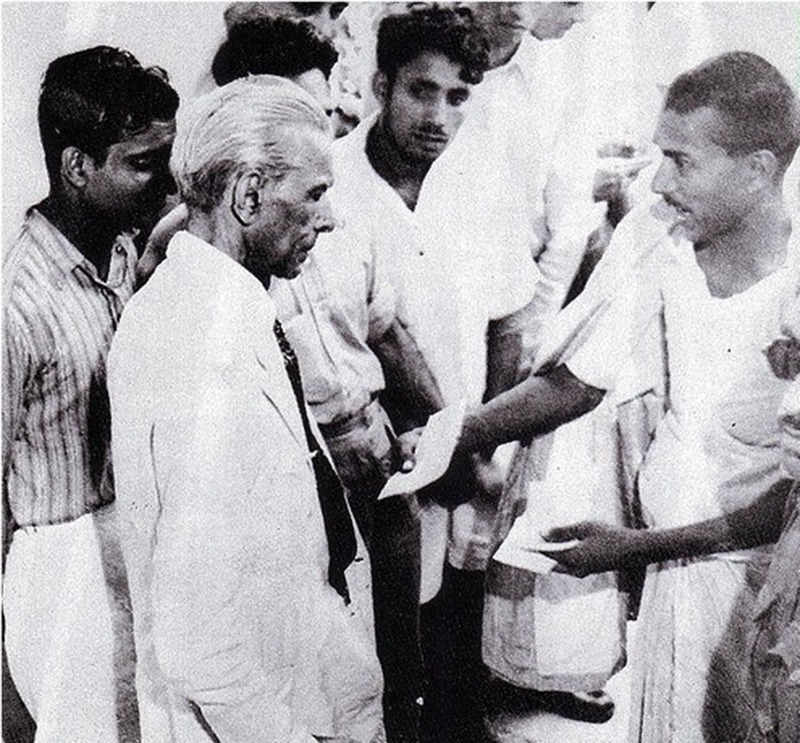 Thousands of men also came out to help the refugees who had become their Pakistani brother. This continued for over 2 years till every family was settled in house and had some earning facility. Such was the spirit of people of Pakistan. They forget that this country had made them what they are today and instead of being grateful to Allah Soob-hanohoo wa Ta’ala (God, all praise be for Him) for gifting such a nice country and for making them stand on their feet, they are showing pride. 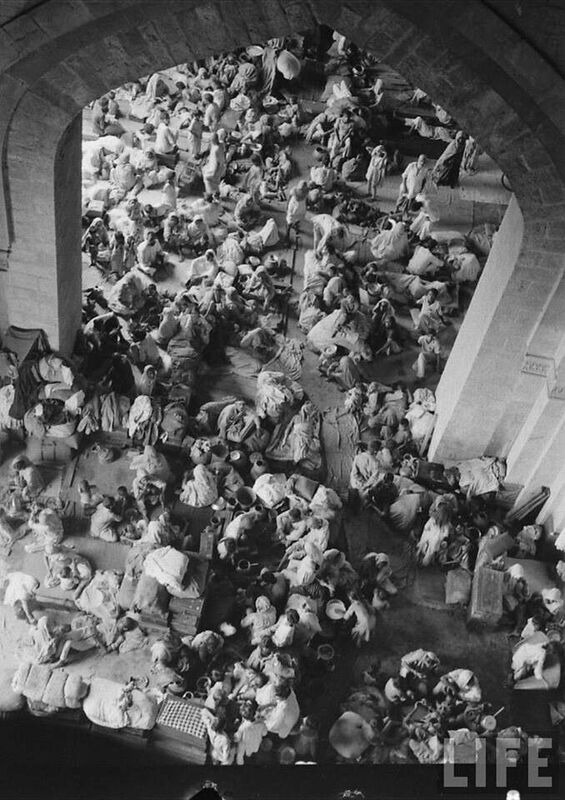 Weapons were withdrawn from all Muslims in army and Police while all Hindus and Sikhs were allowed to retain their weapons. On June 3, 1947, Lord Mountbatten announced the Partition Plan on basis of districts, triggering unprecedented acts of communal violence, especially in Bengal and Punjab. Armed trained groups of Rashtariya Sevak Sang, Hindu Maha Sabha and Akali Dal started killing Muslims, looting their houses and abducting young women & girls. 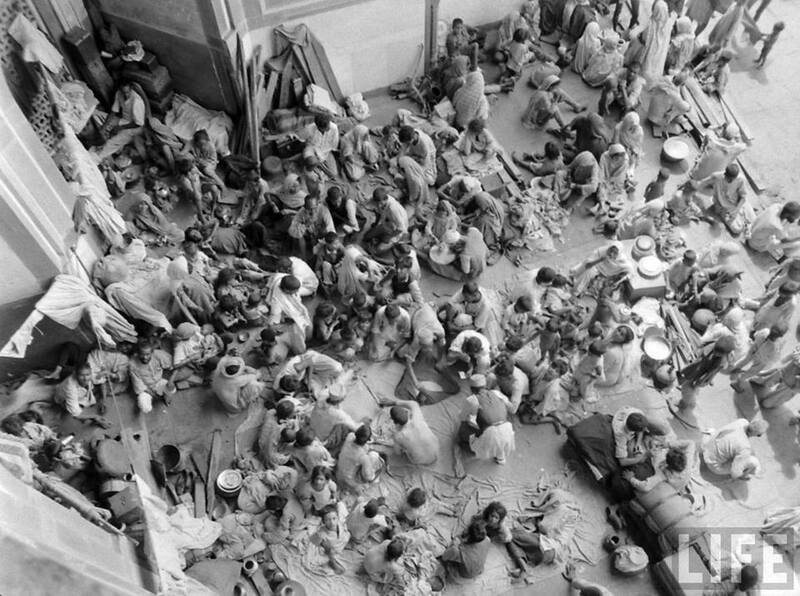 Riots first started in Amritsar followed by Lahore, Delhi, and Calcutta. This made clear that the plan was in the knowledge of Hindus, and to render Muslims defenceless, weapons from Muslims in the army and police had been withdrawn. 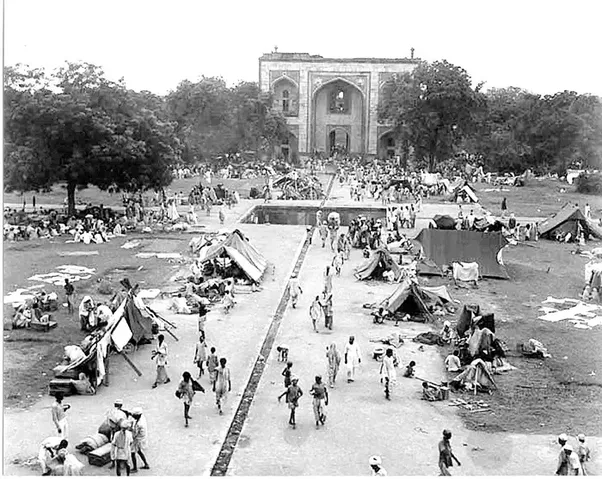 Violence climaxed with the start of August 1947. It was only on August 17, 1947, that the Punjab Boundary Award was finally made public which further aggravated the communal violence. 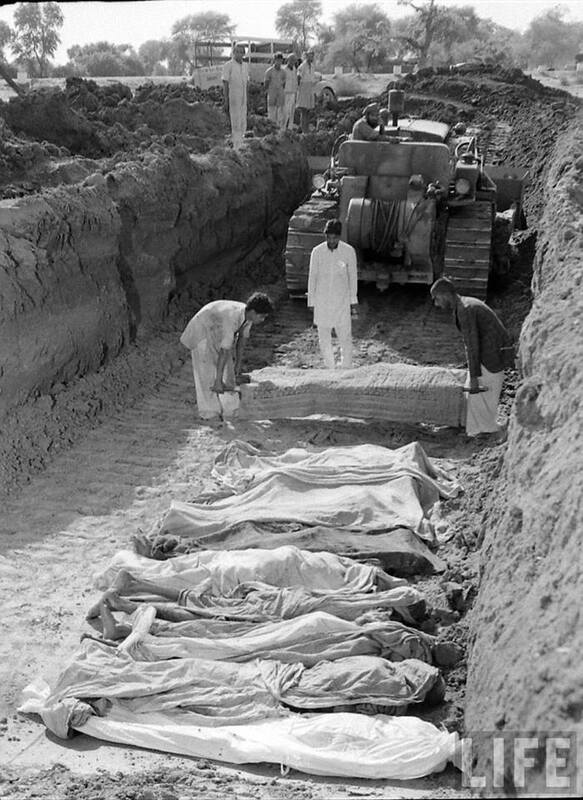 During the following months until October 1947, the province of Punjab was the scene of numerous mass killings of Muslims. 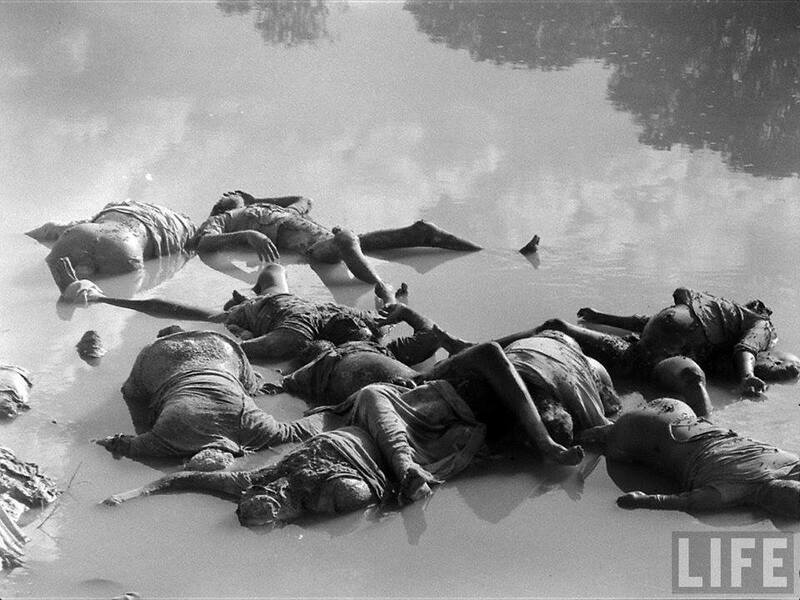 Only a few scenes of what happed to Muslims during riots of 1947 in pictures which were published in British press. 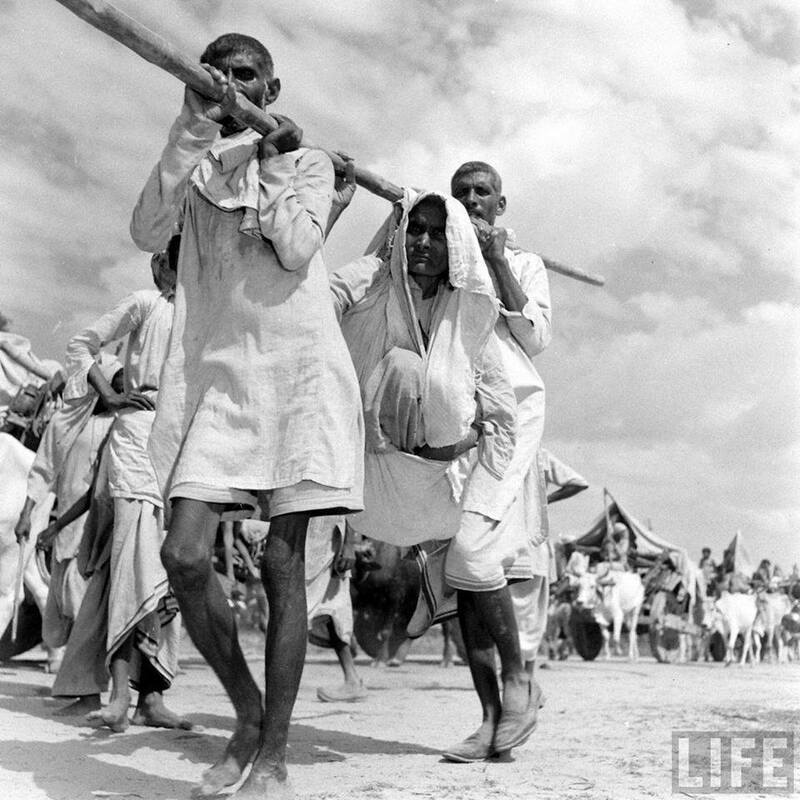 This is how Muslims ousted from their houses and lands had to travel to Pakistan. 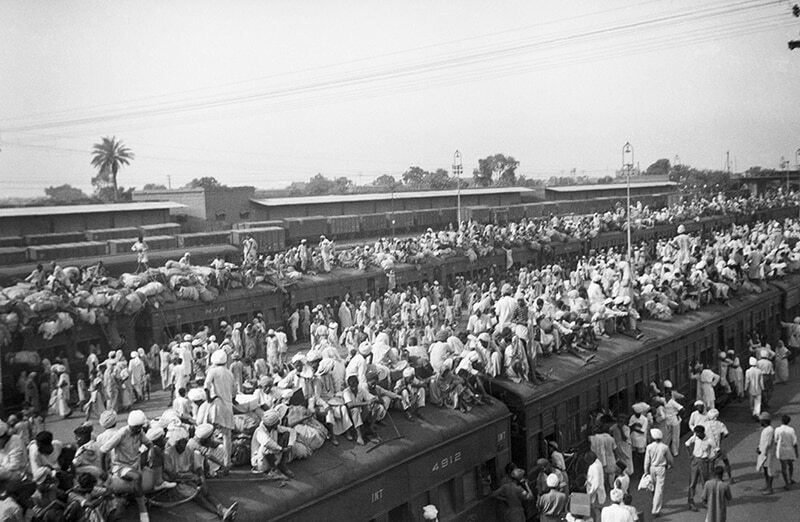 picture 4 – This is how Muslims ousted from their houses & lands travelled because every month only 1 or 2 trains headed for Pakistan. Shown 2 trains fully packed inside and on top while they will go with a gap of 2 to 4 weeks. Trains carrying Muslims to Pakistan from different Provinces of India were attacked and they were killed. Trains reached Lahore Railway station full of blood, corpses and few badly injured people. 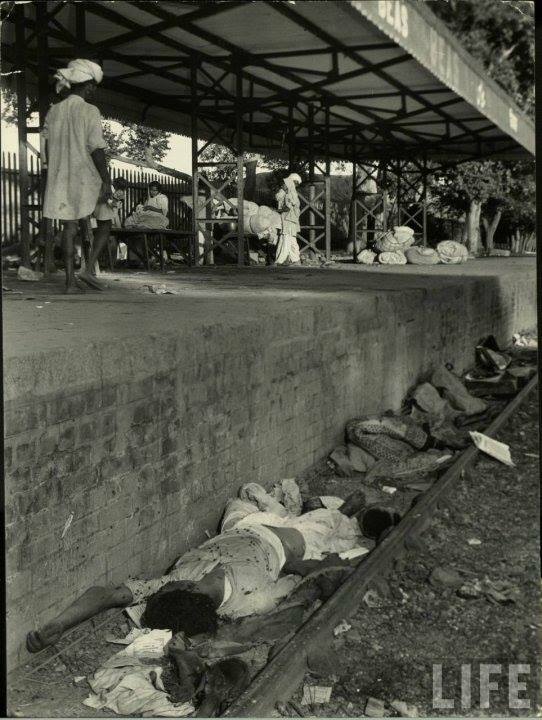 According to Australian newspaper of 25th September, 1947, 3,000 Muslims were massacred in one train in India. Conference is the confusion of one person multiplied by the number persons present. Conference Room is a room where executives get together to talk for hours, take a cup of tea and disperse without a decision.